The Perdro Pinocchio Mask was created for Company XIV in Brooklyn, NY. Company XIV is self-described as Baroque Burlesque. The production this mask was created for was a sideshow burlesques version of Pinocchio. A promo video of the show can be seen on the production shots page of the theater-masks.com. 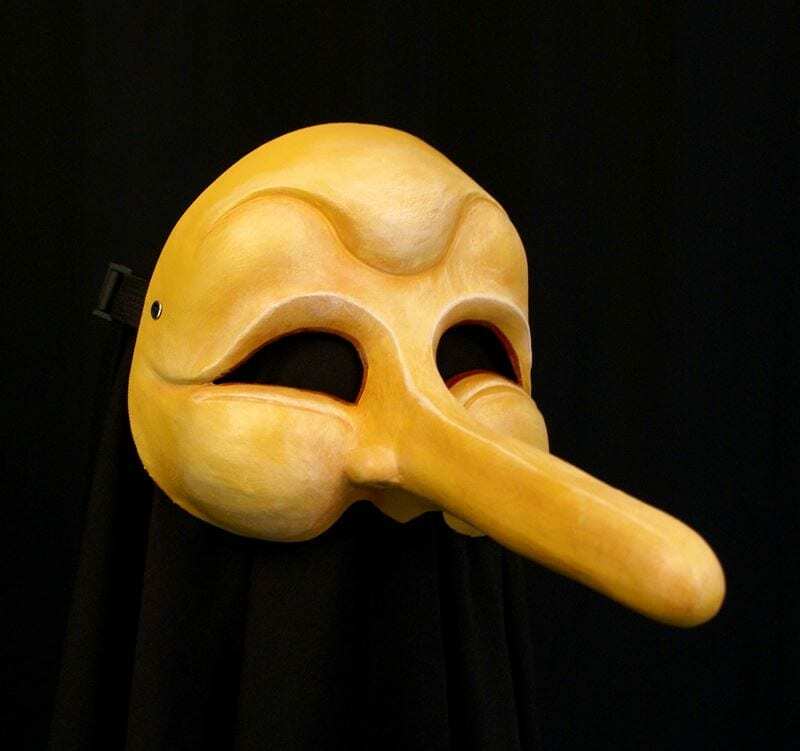 This commedia mask is a redesign of he Pedrolino mask offered by the studio. The nose has been lengthened to suggest that this Pinocchio is forever caught in a lie. The show this mask was used in was a little over 2 hours in length with two very entertaining intermissions. Company XIV was founded to 2006 and provide audiences with a unique blend of circus, baroque dance, ballet, opera, live music and lavish design. The aritsic Director Austin McCormick is an award winning theatre artist presenting uniques and innovative theatre in the heart of Brooklyn.